Eyes are the window to the World. It is one of the most important sense organs in the body. All our experiences are very visual. Food tastes better when the eyes see the food. Similarly, the fragrance of a flower is enhanced when we see the flower. Apart from the sensory input aspect, there is also another lesser known fact about the eyes. Most of our energy is lost through the eyes. The more we strain the eyes, the more energy we lose. This is one of the main reasons that we feel very tired when we work for long hours at a computer. It is not so much the body or the mind which is tired. It is the eyes which are tired and the loss of energy from the body. This occurs because the eyes are subject to a lot of stress these days. Eye stress is caused due to constant staring at electronic screens or reading without blinking for a long time. This happens even though we do not realize it. Another reason is undue exposure to electronic screens and bright light based screens. They damage the eyes gradually. Reading small print, working and chatting on a mobile phone or tablet and gaming are very serious eye damaging options. Television is another culprit. When we are not doing anything, we sit in front of the television and intensely watch movies or serials. Imagine if we exercise continuously for twelve hours a day or eat without a break while we are awake. What is going to happen to the body? The same thing happens to the eyes. What we get is various kinds of eye related problems. Deterioration of eye muscles, early onset of retinal problems and Glaucoma are some of the problems we expose ourselves to. However, one of the most common conditions is ‘dry eyes’. Dry eyes is nothing but drying up of the fluid in the eyes which is constantly released to lubricate them. If this lubrication reduces, the eyes become dry and cause a lot of eye problems, tired and lazy eyes, severe headaches and uncontrollable drowsiness. In addition, it also makes us physically lazy. No depth of vision. We are either at an arm’s length in front of a computer screen or mobile phone or tablet. Else, we are a few feet in front of a large screen television set. Most of the times, we are doing all of this together. What this means is that there is a single constant range of vision. We do not get any depth and ranges to explore. This is not good for the eyes at all. 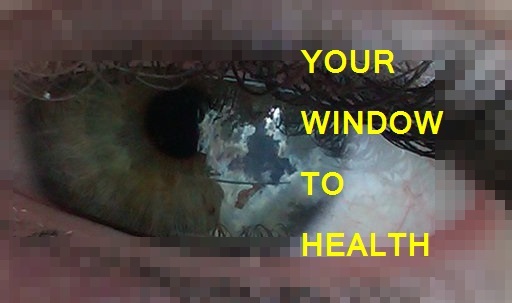 Electronic screens emit light directly into the eyes at close range. This exposure is constant and impairs the functioning of the pupil. Imagine staring in the sun all the time and the pupils remaining dilated. The only logical conclusion is nearsightedness. Long range vision is also compromised because we are rarely looking at things in the distance. This is bad for the eyes. Even the protective covers do not really help much. When we are concentrating on something especially which is a screen, we tend to stop blinking for long duration. Every time we are focused on creating a presentation, writing a long email or preparing some document, we are thinking with our eyes open and staring in the screen without blinking. The same thing happens when we are gaming. Not blinking is the starting point for all eye problems. Lubrication reduces and diseases of the eyes creep inside. Prolonged screen exposure of greater than fifteen or twenty minutes impacts the eyes negatively. What this means is that we should not be looking at any kind of screen for more than fifteen minutes at a stretch. There are few long distance vision opportunities especially in cities and urban centers. This is bad for the eyes as we need a combination of distance, range and periphery to keep the eyes in shape. If these factors are not tackled, dry eyes can fast lead to other complications like gradual weakening of vision or other retina related problems. Even if the eyes do not worsen, the propensity to get headaches increases due to over stimulation of the eyes. One of the good things to do is to look at greenery (real plants and trees) which are a distance of twenty feet or more. So every time you are working hard, try and take a break, walk out and look at some trees. Take a break every fifteen or twenty minutes and get off your computer and phones. Take a fifteen minute break after lunch where you are not on the computer and also not checking your phone. Blinking fast consciously every few minutes will also help. Splash water on your eyes a few times a day. If you are lucky to have an office space with a window, just stare out for a few minutes after every twenty minutes of work. In addition opt for our eye care program to keep your eyes healthy.